When Beefeater got in touch about working together, I thought, hell yeah, I’ll be drinking G & T’s for life. 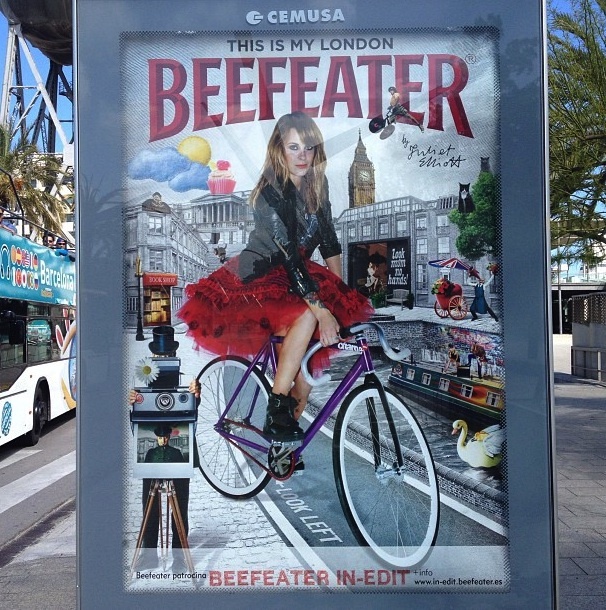 What I didn’t initially realise is just how much the Spanish love gin, and that my ad was destined to be plastered all over the billboards and bus stops of Spain, much to the hilarity of my friends! I’ve never actually been to Barcelona but thanks to the power of instagram, I’ve been able to see just how amusing I look gracing Spanish bus stops in a pink net skirt all. another, bigger, 20 meter from my hause. In Vigo.